A colleague was describing his journey, and attributed much of his success (rightly) to his core skills: including his creativity. I was resonating with his list until I got to ‘attention to detail’, and it got me to thinking. Attention to detail is good, right? We want people to sweat the nuances, and I certainly am inspired by folks who do that. But there are times when I don’t want to be responsible for the details. To be sure, these are times when it doesn’t make sense to have me do the details. For example, once I’ve helped a client work out a strategy, the implementation really largely should be on them, and I might take some spot reviews (far better than just helping them start and abandoning them). So I wondered about what the alternative would be. Now the obvious thought is lack of attention to detail, which might initially be negative, but could there be a positive connotation? What came to me was attention to connections. That is, seeing how what’s being considered might map to a particular conceptual model, or a related field. Seeing how it’s contextualized, and bringing together solutions. Seeing the forest, not the trees. I’m inclined to think that there are benefits to those who see connections, just as there is a need for those who can plug away at the details. And it’s probably contextual; some folks will be one in one area and another in another. For example, there are times I’m too detail oriented (e.g. fighting for conceptual clarity), and times where I’m missing connections (particularly in reading the politics of a situation). And vice-versa, times when I’m not detail-0riented enough, and very good at seeing connections. They’re probably not ends of a spectrum, either, as I’ve gone away from that in practical matters (hmm, wonder what that implies about the Big 5?). Take introvert and extrovert, from a learning perspective it’s about how well you learn on your own versus how well you learn with others, and you could be good or bad at each or both. Similarly here, you could be able to do both (as in my colleague, he’s one of the smartest folks I know who is demonstrably innovative and connecting as well as being able to sweat the details whether writing code or composing music). At a recent meeting, one of my colleagues mentioned that increasingly people weren’t throwing away prototypes. Which prompted reflection, since I have been a staunch advocate for revolutionary prototyping (and here I’m not talking about “the” Revolution ;). When I used to teach user-centered design, the tools for creating interfaces were complex. The mantras were test early, test often, and I advocated Double Double P’s (Postpone Programming, Prefer Paper; an idea I first grabbed from Rob Phillips then at Curtin). The reason was that if you started building too early in the design phase, you’d have too much invested to throw things away if they weren’t working. These days, with agile programming, we see sprints producing working code, which then gets elaborated in subsequent sprints. And the tools make it fairly easy to work at a high level, so it doesn’t take too much effort to produce something. So maybe we can make things that we can throw out if they’re wrong. Now that I think about it, I think it’d be good to document the core practice mechanic, and perhaps the core animation, and maybe the spread of examples. I’m big on interim representations, and perhaps we’re talking the same thing. And if not, well, please educate me! I guess the point is that I’m still keen on being willing to change course if we’ve somehow gotten it wrong. Small representations is good, and increasing fidelity is fine, and so I suppose it’s okay if we don’t throw out prototypes often as long as we do when we need to. Am I making sense, or what am I missing? One of the themes I’ve been strumming in presentations is one where we complement what we do well with tools that do well the things we don’t. A colleague reminded me that JCR Licklider wrote of this decades ago (and I’ve similarly followed the premise from the writings of Vannevar Bush, Doug Engelbart, and Don Norman, among others). We’re already seeing this. Chess has changed from people playing people, thru people playing computers and computers playing computers, to computer-human pairs playing other computer-human pairs. The best competitors aren’t the best chess players or the best programs, but the best pairs, that is the player and computer that best know how to work together. The implications are to stop trying to put everything in the head, and start designing systems that complement us in ways that assure that the combination is the optimized solution to the problem being confronted. Working backwards , we should decide what portion should be handled by the computer, and what by the person (or team), and then design the resources and then training the humans to use the resources in context to achieve the goals. Of course, this is only in the case of known problems, the ‘optimal execution’ phase of organizational learning. We similarly want to have the right complements to support the ‘continual innovation’ phase as well. What that means is that we have to be providing tools for people to communicate, collaborate, create representations, access and analyze data, and more. We need to support ways for people to draw upon and contribute to their communities of practice from their work teams. We need to facilitate the formation of work teams, and make sure that this process of interaction is provided with just the right amount of friction. Just like a tire, interaction requires friction. Too little and you go skidding out of control. Too much, and you impede progress. People need to interact constructively to get the best outcomes. Much is known about productive interaction, though little enough seems to make it’s way into practice. Our design approaches need to cover the complete ecosystem, everything from courses and resources to tools and playgrounds. And it starts by looking at distributed cognition, recognizing that thinking isn’t done just in the head, but in the world, across people and tools. Let’s get out and start playing instead of staying in old trenches. Is there an appetite for change in L&D? That was the conversation I’ve had with colleagues lately. And I have to say that that the answer is mixed, at best. The consensus is that most of L&D is comfortably numb. That L&D folks are barely coping with getting courses out on a rapid schedule and running training events because that’s what’s expected and known. There really isn’t any burning desire for change, or willingness to move even if there is. This is a problem. As one commented: “When I work with others (managers etc) they realise they don’t actually need L&D any more”. And that’s increasingly true: with tools to do narrated slides, screencasts, and videos in the hands of everyone, there’s little need to have the same old ordinary courses coming from L&D. People can create or access portals to share created and curated resources, and social networks to interact with one another. L&D will become just a part of HR, addressing the requirements – onboarding and compliance – everything else will be self-serve. The sad part of this is the promise of what L&D could be doing. If L&D started facilitating learning, not controlling it, things could go better. If L&D realized it was about supporting the broad spectrum of learning, including self-learning, and social learning, and research and problem-solving and trouble-shooting and design and all the other situations where you don’t know the answer when you start, the possibilities are huge. L&D could be responsible for optimizing execution of the things they know people need to do, but with a broader perspective that includes putting knowledge into the world when possible. And L&D could be also optimizing the ability of the organization to continually innovate. It is this possibility that keeps me going. There’s the brilliant world where the people who understand learning combine with the people who know technology and work together to enable organizations to flourish. That’s the world I want to live in, and as Alan Kay famously said: “the best way to predict the future is to invent it.” Can we, please? David McCandless gave a graphically and conceptually insightful talk on the power of visualization at the Callidus Cloud Connections. He demonstrated the power of insight by tapping into the power of our pattern matching cognitive architecture. So, I was continuing the campaign for the Revolution, and wanted to expand the audience interaction. I could’ve used the tired ‘turn to your neighbor’ technique, but I had a thought (dangerous, that). Could it be improved upon? As I may have mentioned, there has been a backlash against ‘brainstorming’. For example, the New York Times had an article about how it didn’t work, saying that if you bring people into a room, and then give them a problem or topic, and then get them to discuss, it won’t work. And they’re right! Because that is a broken model of brainstorming; it’s a straw man argument. A real model of brainstorming has the individuals thinking about the problem individually beforehand, before you bring them together. When you have them not have a chance to think independently, the first person to speak colors the thoughts of the others, but if people can come up with their own ideas first, then share and improve, it works well. The room is smarter than the smartest person in the room, as the quote has it, but the caveat is that you have to manage the process right. So how does this relate to the ‘turn to your neighbor’? It occurred to me that a clear implication was that if you thought to yourself first, before sharing, you’d get a better outcome. And so that’s what I did: I had them think for themselves on the question I presented, then share, and then stop. Now, to be fair, I didn’t have time to ask for all the output, instead I asked who had come up with ‘formal’ for a question on what supports optimal execution, and who came up with facilitating the flow of information as a solution for supporting innovation. So we have practical limits on what we can do with a large audience and a small amount of time. However, I did ask at the end of the first one whether they thought it worthwhile. And I asked again of a subset of the audience who attended the next day workshop (“Clark Quinn’s workshop on Strategic Elearning is awesome” was a comment, <fist pump>) what they thought. Overall the feedback was that it was an improvement. Certainly the outputs should be better. One was “energized”. The overall take of the large audience and the smaller one was very positive. It doesn’t take much longer, because it’s easy to do the quick thinking bit (and it’s no easier to get them to stop sharing :), but it’s a lesson and an improved technique all in one! So, now you know that if you see anyone doing just the ‘turn to your neighbor’, they’re not up on the latest research. Wonder if we can get this to spread? But continue exploration is a necessary element to improvement, and innovations happen through diligent work and refinement. Please do try it out and let me know how it goes! And, of course, even just your thoughts. One of the mantras of the Learning Organization is that there should be experimentation. This has also become, of course, a mantra of the Revolution as well. So the question becomes, what sort of experiments should we be considering? First, for reasons both pragmatic and principled, these are more likely to be small experiments than large. On principled reasons, even large changes are probably better off implemented as small steps. On pragmatic reasons, small changes can be built upon or abandoned as outcomes warrant. These small changes have colloquially been labeled ‘trojan mice‘, a cute way to capture the notion of change via small incursions. The open question, then, is what sort of trojan mice might be helpful in advancing the revolution? We might think of them in each of the areas of change: formal, performance support, social, culture, etc. What are some ideas? In formal, we might, for one, push back on taking orders. For instance, we might start asking about measures that any initiatives will be intended to address. We could also look to implementing some of the Serious eLearning Manifesto ideas. Small steps to better learning design. For performance support, one of the first small steps might be to even do performance support, if you aren’t already. If you are, maybe look to broadening the media you use (experiment with a video, an annotated sequence of pictures, or an ebook). Or maybe try creating a portal that is user-focused, not business-silo structured. In the social area, you might first have to pilot an exterior social network if there isn’t one. If there is, you might start hosting activities within it. A ‘share your learning lunch’ might be a fun way to talk about things, and bring out meta-learning. Certainly, you could start instituting the use within L&D. And with culture, you might start encouraging people to share how they work; what resources they use. Maybe film the top performers in a group giving a minute or two talk on how they do what they do. It’d be great if you could get some of the leadership to start sharing, and maybe do a survey of what your culture actually is. The list goes on: in tech you might try some microlearning, a mobile experiment, or considering a content model (ok, not actually build one, that’s a big step ;). In strategy, you might start gathering data about what the overall organization goals are, or what initiatives in infrastructure have been taken elsewhere in the org or are being contemplated. The point is to start taking some small steps. So, I’m curious, what small steps have you tried, or what ones might you think of and suggest? In a recent debate with my colleague on the Kirkpatrick model, our host/referee asked me whether I’d push back on a request for a course. Being cheeky, I said yes, but of course I know it’s harder than that. And I’ve been mulling the question, and trying to think of a perhaps more pragmatic (and diplomatic ;) approach. So here’s a cut at it. The goal is not to stay with just ‘yes’, but to followup. The technique is to drill in for more information under the guise of ensuring you’re making the right course. Of course, really you’re trying to determine whether there really is a need for a course at all, or maybe a job aid or checklist instead will do, and if so what’s critical to success. To do this, you need to ask some pointed questions with the demeanor of being professional and helpful. You might, then, ask something like “what’s the problem you’re trying to solve” or “what will the folks taking this course be able to do that they’re not doing now”. The point is to start focusing on the real performance gap that you’re addressing (and unmasking if they don’t really know). You want to keep away from the information that they think needs to be in the head, and focus in on what decisions people can make that they can’t make now. Experts can’t tell you what they actually do, or at least about 70% of it, so you need to drill in more about behaviors, but at this point you’re really trying to find out what’s not happening that should be. You can use the excuse that “I just want to make sure we do the right course” if there’s some push back on your inquiries, and you may also have to stand up for your requirements on the basis that you have expertise in your area and they have to respect that just as you respect their expertise in their area (c.f. Jon Aleckson’s MindMeld). 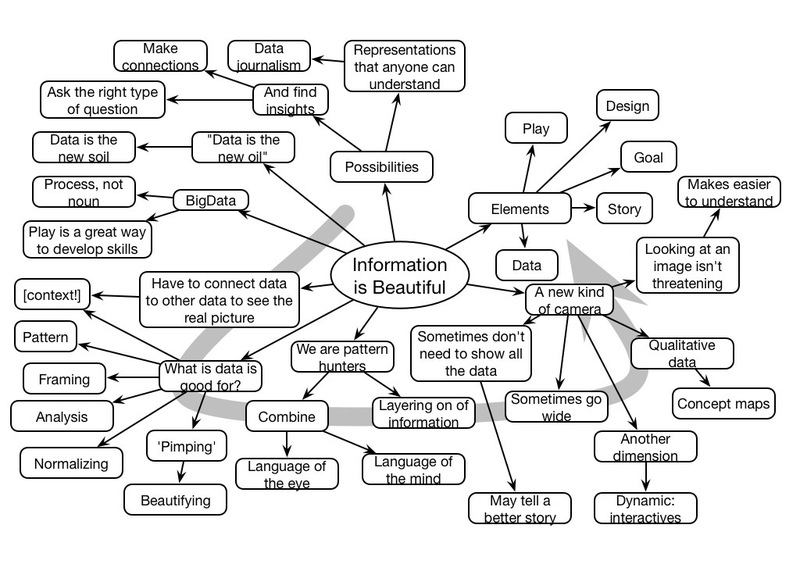 If what you discover does end up being about information, you might ask about “how fast will this information be changing”, and “how much of this will be critical to making better decisions”. It’s hard to get information into the head, and it’s a futile effort if it’ll be out of date soon and it’s an expensive one if it’s large amounts and arbitrary. It’s also easy to think that information will be helpful (and the nice-to-know as well as the must), but really you should be looking to put information in the world if you can. There are times when it has to be in the head, but not as often as your stakeholders and SMEs think. Focus on what people will do differently. You also want to ask “how will we know the course is working”. You can ask about what change would be observed, and should talk about how you will measure it. Again, there could be pushback, but you need to be prepared to stick to your guns. If it isn’t going to lead to some measurable delta, they haven’t really thought it through. You can help them here, doing some business consulting on ROI for them. And here’s it’s not a guise, you really are being helpful. So I think the answer can be ‘yes’, but that’s not the end of the conversation. And this is the path to start demonstrating that you are about business. This may be the path that starts getting your contribution to the organization to start being strategic. You’ll have to start being about more than efficiency metrics (cost/seat/hour; “may as well weigh ’em”) and about how you’re actually impacting the business. And that’s a good thing. Viva la Revolucion!